Best Day Spa In Richmond, VA! Scents of Serenity has been voted one of the Best Day Spa’s in Richmond, VA five years in a row by Virginia Living Magazine readers! Scents of Serenity is Richmond, Virginia’s only truly organic spa! If you haven’t yet experienced our luxurious spa services, we now offer two amazing locations. Our Mountain Rd location is nestled away in a charming, historic farmhouse in the heart of Old Glen Allen and our Grove Ave location is conveniently located in the heart of Libbie & Grove Ave in Richmond, VA. Whether you are seeking to spend quality time with someone special or you wish to escape on your own, Scents of Serenity Organic Spa provides the ideal environment for one’s physical and mental renewal. From the beautiful aromas that scent the air to the sound of falling water, every detail sets the stage for a truly peaceful and tranquil experience. Spa services at our Glen Allen, Va and Richmond, Va location include organic facials, couples massage, acne facials, dermaplaning, microdermabrasions, Thai yoga massage and non-surgical facelifts. We exclusively offer the Eminence Organic Skincare line, the most sought after organic skincare line available in the world. Whether you are treating yourself to a spa day or a loved one to a spa gift certificate, we are committed to providing the best spa experience one could ever imagine! Our mission is to offer our guests the purest luxury spa services & organic products in the most unique and tranquil environment. Visit us today and see why Scents of Serenity was voted one of Richmond’s Best Day Spas 7 years in a row by Virginia Living Magazine. We offer a wide variety of spa packages, whether you are looking for a mini escape or a full day at the spa, we have several options for you to enjoy and experience our luxurious spa treatments. Our spa packages include a combination of facial, massage and body treatment services and range from $99 - $399. We also offer monthly specials! Visit and like us on facebook to receive our updates on additional offers throughout the month. If you are interested in planning a spa party, we would love to assist you in your spa party needs. 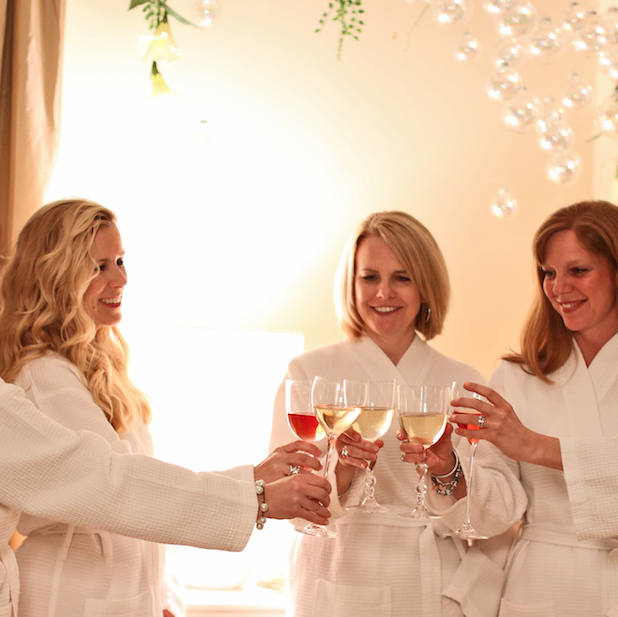 Scents of Serenity is the perfect place for spa parties and to host your special event. We offer a tranquil and serene space in an intimate setting, making your guests feel completely pampered with our luxurious organic spa services. It’s a perfect way to celebrate birthdays, bridal showers, baby showers, bachelorette parties, or any special occasion. Our spa manager is here to help make your event as memorable and seamless as possible. We would be delighted to begin planning your special occasion today!